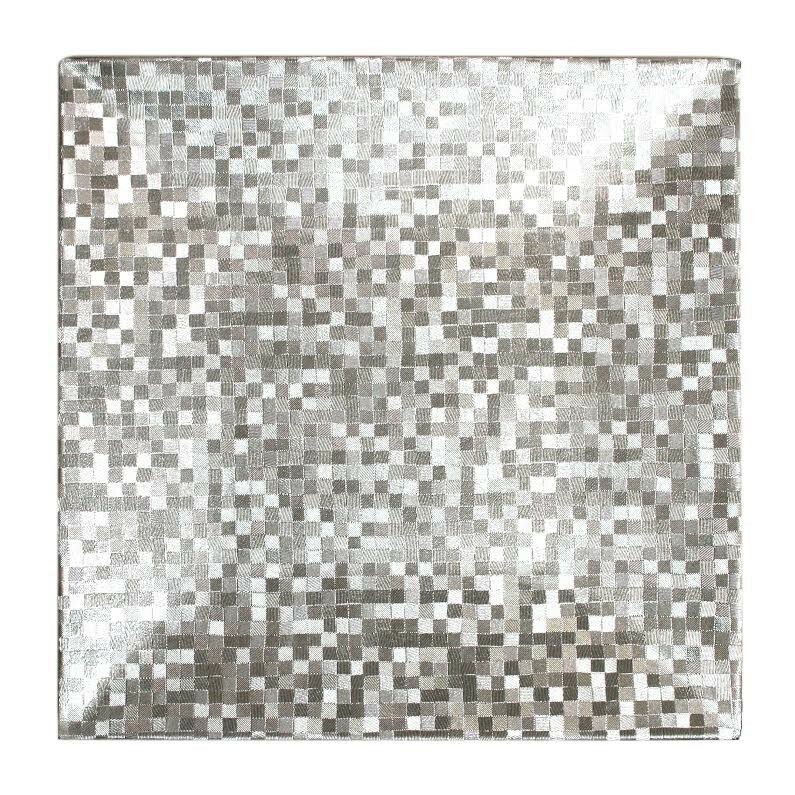 ChargeIt by Jay Silver Mosaic Square Charger Plate 12"
Home > Products > ChargeIt by Jay Silver Mosaic Square Charger Plate 12"
Add an unexpected edge to ordinary dishes with ChargeIt by Jay Silver Mosaic Square Charger Plate. The shimmer and shine of this charger plate makes for a fabulous statement, perfect for use at traditional affairs or fanciful settings. Made from high quality melamine, this silver charger plate is lightweight and exceptionally durable. Thanks to its 12" diameter, this charger provides ample space to accommodate any size plate. Clean up is a breeze with this square mosaic charger plate! Simply hand wash, dry, and store.